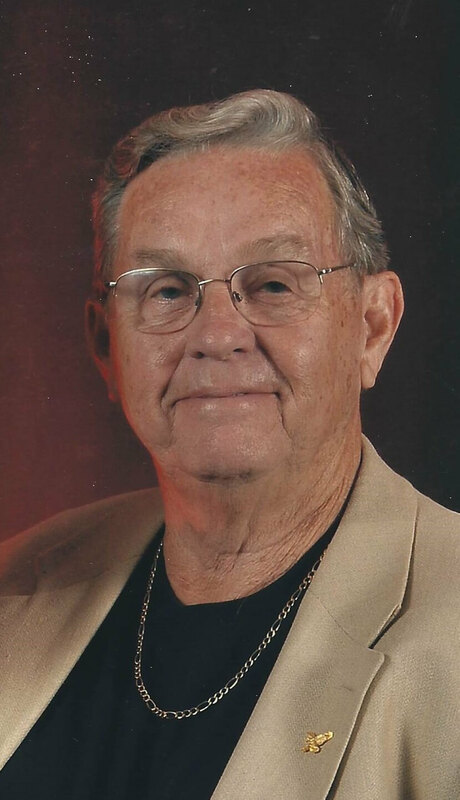 James Calvin Smart, age 78 of Gallatin, passed away February 27, 2019. Mr. Smart was born in Gallatin, TN, son of the late Horace Leonard and Ester Hawkins Smart. In addition to his parents, he is preceded in death by sister, Jacque Powers. He is survived by wife of 58 years, Betty Smart; sons, Tony Smart (Teresa) and John Smart (Erin) all of Gallatin; brother, Bill Smart of Portland; sister, Christy Sullivan of Portland; grandchildren, Drew Smart, Paul Knights, Justin Wilson (Amber), Chris Wilson (Hannah), Michael Hodges; great grandson, Thomas Wilson. Mr. Smart was an electrician and retired from Dupont. He was a member of the General Baptist Church and King Solomon Lodge #6 in Gallatin. Funeral Service will be 11:00 a.m. Saturday, March 2nd from the chapel of Alexander Funeral Home & Cremation Center with Brother Larry Treadway officiating. Interment will follow in Maple Hill Cemetery in Portland, TN with Homer Carter, David Shrum, Jim Parson, Drew Smart, Chris Wilson, Justin Wilson and B. W. Draper serving as pallbearers. Honorary pallbearers will be Walter Boone, Bob Maples, Breakfast Crew, Ted Gentry and Paul Knights. Visitation will be Friday, March 1st from 4:00-8:00 p.m. with Masonic Service at 7:00 p.m. and Saturday, March 2nd from 10:00 a.m. until time of service. Our sincere sympathy to all the Family in the loss of Jim. He will be missed. He always had a smile to greet you. He would come over when we lived on Lewis Jones to see Doc and me. Lots of good memories. May the Lord give each of you much strength and courage at this time.God Bless, Much Love and Prayers. Our heart goes out to your family for your precious loss. I can’t take away your pain, tears and sadness. But please know we care. (Please visit the website (JW.org) if you have questions. Jim was my friend from the time we were little kids, even before we went to school. I loved him like a brother and my heart is broken that he is gone. My sincerest sympathy to Betty and all of his family. Tony & family. So sorry for your loss. Prayers ascending.